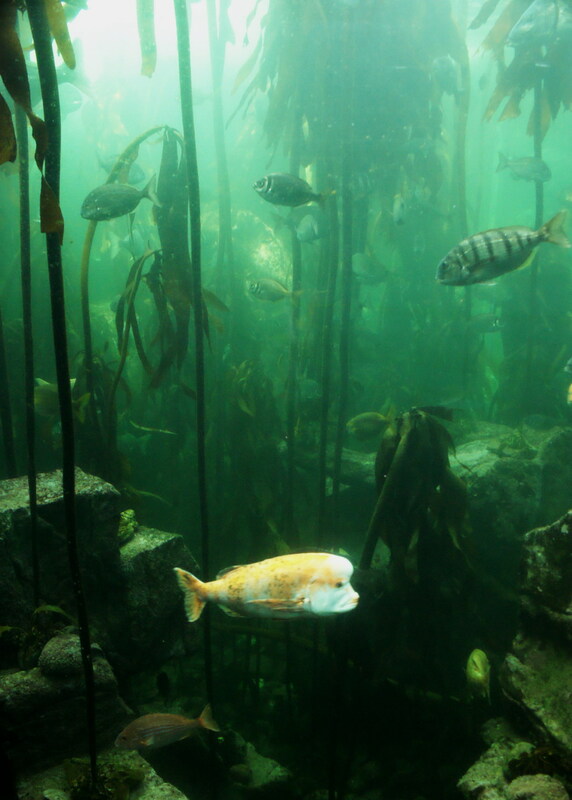 Only few aquariums in the world have a kelp forest exhibit. And it is because you cannot grow kelp effectively in captivity. 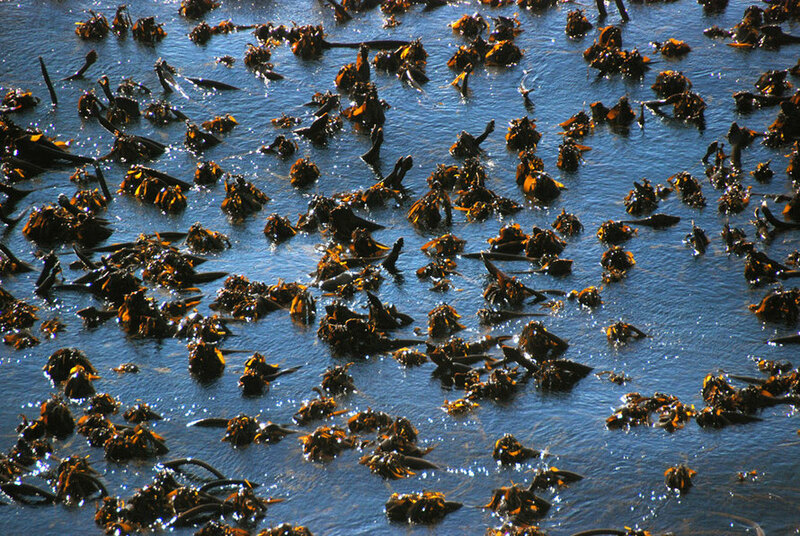 In order to maintain living kelp forest, you need to collect the macroalgae on a regular basis. Today I was lucky and could go with the collection team to a nearby bay and collect some sea bamboo. 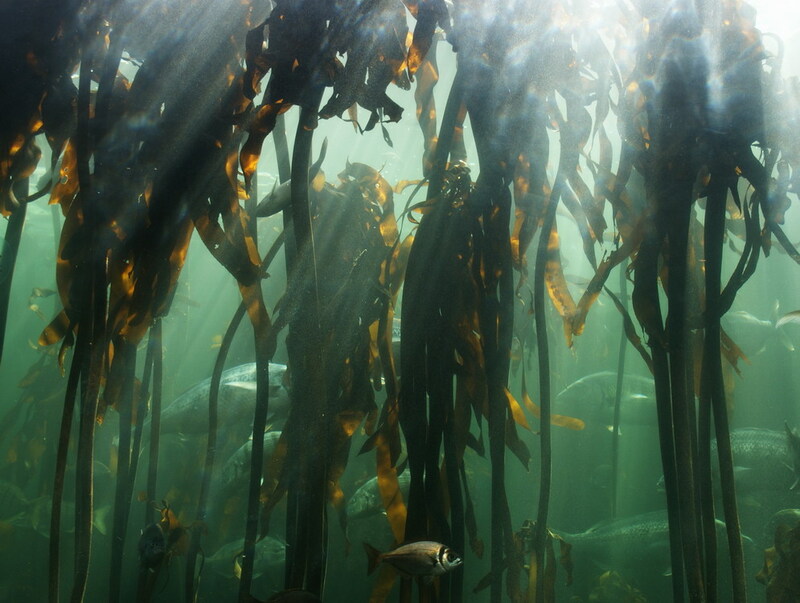 Ecklonia maxima, the sea bamboo, is a species of kelp native to the southern oceans. It is bigger (up to 12m), heavier and way more slimy/slippery than you would imagine. Not the most usual workout ever. We were all wet, cold (includding the cutest puppy in the world, shivering like a leaf). On the way, Clair spotted a small Mola mola, sun fish. It is a second time I’ve seen it wild. A truly mythical/magical creature. I spent the rest of the day wandering in the natural history muzeum, mainly the shark world section and whales and dolphins. Read everything there was to read and walked back to the boat. With tired legs, hot tea and a storm behind the windows, I am now ready to read ‘Love, life and elephants’. Sea bamboo kelp forest, as seen from the surface. An exhibit in the Two Oceans aquarium. Male red stumpnose fish. They all start as females and then change to males when they grow up.